Background/Info: Nox Interna is a Spanish formation, which is busy achieving their fourth album, announced for 2019. “A Minor Road” is a little teaser featuring two new songs plus a cover version. Content: The title song opening the EP is a powerful outburst of rock/goth guitar refined with some electronic treatments. On top of the song are the charismatic vocals of front man Richy Nox. The other new cut is filled with rage, screaming vocals and a carrying chorus. Nox Interna also added a cover version, sung in their Mother tongue, of the Spanish formation Heroes Del Silencio. + + + : I especially like “Doomed Generation”, which in my opinion sounds better and definitely harder than the title track. But I have to admit both new cuts are pure rage and dark, doom rock-goth music. The guitar parts are really excellent. The sound of Nux Interna is totally appropriated to play live and their cover version as well. 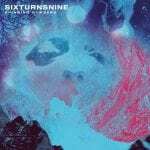 I also want to say a word about the cool digipak format of this release. 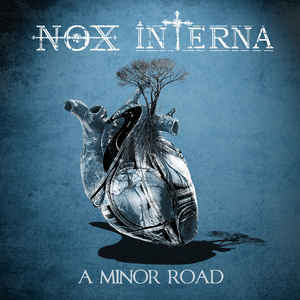 – – – : Nox Interna will not take their fans by surprise; this is a cool, but rather stereotypical release. 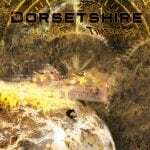 The cover version of “Entre Dos Tierras” is not exactly my cup of tea, but I can imagine it was fun to do for the band. Conclusion: This is a pretty cool appetizer to await the new full length of this tough Spanish formation. Best songs: “Doomed Generation”, “A Minor Road”.